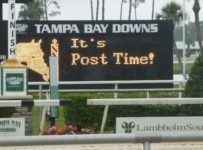 Tampa Bay Downs has announced its 2016-2017 stakes schedule, with almost $3 million in purses that makes it the richest in the track’s history. 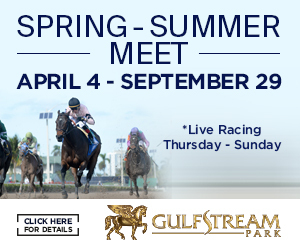 The 24-stakes schedule can be found via this link. Opening Day for the 2016-2017 meeting is Saturday, Nov. 26. 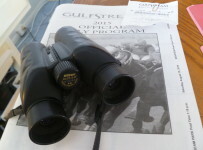 Highlights will include a pair of “Road to the Kentucky Derby” points races. 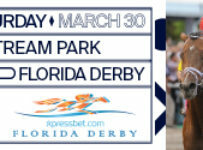 Those races are the $250,000 Sam F. Davis Stakes (Grade 3) on Feb. 11 and the $350,000 Tampa Bay Derby (Grade 2) on March 11. 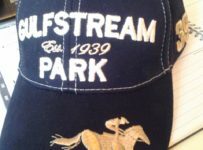 Both are 1 1/16 miles on dirt and will award points to the top four finishers toward qualifying for the Kentucky Derby (Grade 1) on May 6 at Churchill Downs in Louisville, Ky. The Kentucky Derby field is limited to 20 horses. 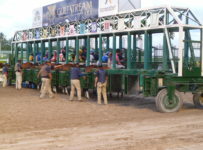 The Sam F. Davis was recently reinstated as an official prep race on the “Road to the Kentucky Derby” and will award the first four finishers 10, 4, 2 and 1 points toward qualifying for the Kentucky Derby starting gate. 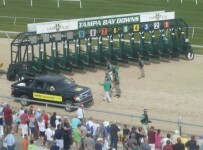 The Tampa Bay Derby offers 50-20-10-5 qualifying points to the top four finishers. 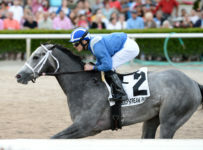 Destin, the winner of both the Sam F. Davis and Tampa Bay Derby this year, finished sixth in the Kentucky Derby and second by a nose to Creator in the Belmont Stakes (Grade 1) at Belmont Park in Elmont, N.Y.
Two horses have used the Tampa Bay Derby as a springboard to Kentucky Derby glory: Street Sense, winner of both races in 2007, and Super Saver, the third-place finisher in the Tampa Bay Derby before his Kentucky Derby win in 2010. 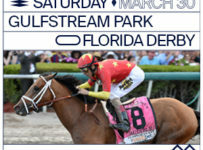 The Tampa Bay Derby is the centerpiece of the track’s March 11 Festival Day card, which includes the $200,000 Hillsborough Stakes (Grade 2) on the turf course and the $200,000 Florida Oaks (Grade 3) also on the turf. 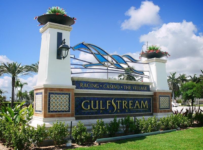 Other Festival Day stakes are the $100,000 Challenger Stakes and the $75,000 Columbia Stakes, which is being renewed as a one-mile turf event for 3-year-olds (it was last contested as the Chris Thomas Turf Classic in 2009 at 1 1/8 miles). 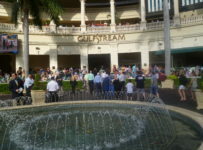 Purse money for the April 2 Florida Cup, consisting of six races for registered Florida-bred horses, has been increased 33 percent, with each of the races now worth $100,000 thanks to a collaborative effort by track management, horsemen and the Florida Thoroughbred Breeders’ and Owners’ Association to raise the pots. 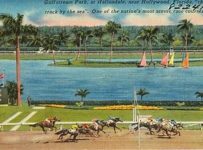 The 2016-2017 stakes schedule begins Saturday, Dec. 3 with the Inaugural Stakes and the Sandpiper Stakes, a pair of $100,000, 6-furlong sprint races for 2-year-olds soon to turn 3 (all Thoroughbred horses celebrate their birthdays on Jan. 1). 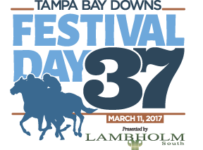 The second-biggest day on the Tampa Bay Downs stakes schedule is Festival Preview Day Presented by Lambholm South on Feb. 11, featuring the Sam F. Davis. 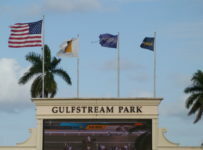 Other stakes on the Feb. 11 card are the $150,00 Endeavour Stakes (Grade 3) on the turf; the $150,000 Tampa Bay Stakes (Grade 3) also on the turf; and the $100,000 Suncoast Stakes on the main track. The Endeavour and the Hillsborough, both for older fillies and mares, have welcomed several of the nation’s top female turf runners in recent years. Tepin, who won the 2015 Eclipse Award as Outstanding Turf Female, won both races last season. 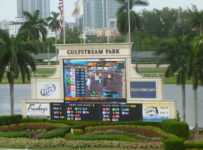 Other Eclipse winners to flash their brilliant form on the Tampa Bay Downs turf course were 2015 Hillsborough winner Stephanie’s Kitten and Zagora, winner of both races in 2012.